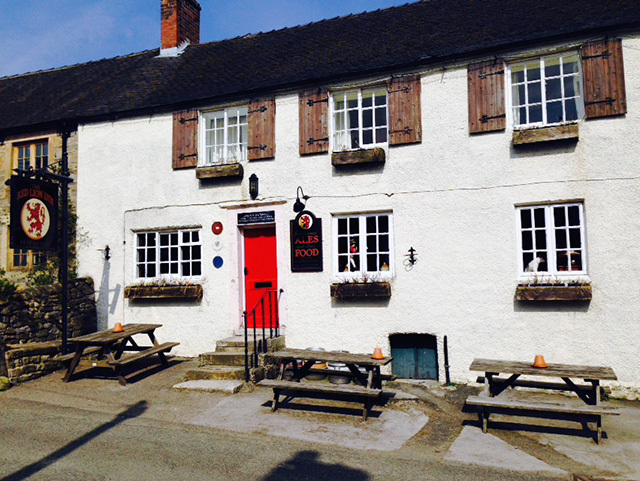 The Red Lion Inn, Hognaston is a traditional seventeenth century, family-run inn nestled in the small village of Hognaston on the edge of the Peak District National park, overlooking Carsington Water, renowned for its scenic beauty. The Red Lion offers superior accommodation with en-suite facilities. Our claim to fame is our food, enjoyed and commented upon by Derbyshire Life, the Daily Mail, the Daily Telegraph and The Observer. Only the very best produce is used and prepared daily by our chefs. Our rooms are second to none and have been frequented by such celebrities as John F Kennedy, Jr and his wife Carolyn Bessette. And don't worry if you're on a business trip or entertaining clients when you visit, you can stay in touch with your base using our WiFi connection. Whatever your needs, you'll find a warm welcome awaiting you from Tony, Jenny, Jason and Hazel. Please call us today on 01335 370396 to make your booking. We have varying menus depending on the day and time you visit us. We also have guest beers and a good wine list, please visit our website for more details. © 2019 The Red Lion Inn, Hognaston. Website by webiness.